Birds of Prey Eagles Flying, Irish Raptor Research Centre, Ballymote, County Sligo, scientifically managed institution specialising in birds of prey. 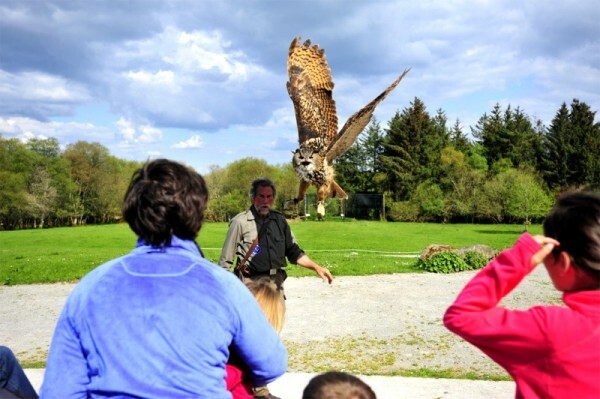 The IRISH RAPTOR RESEARCH CENTRE is a scientifically managed sanctuary for Birds of Prey and Owls. 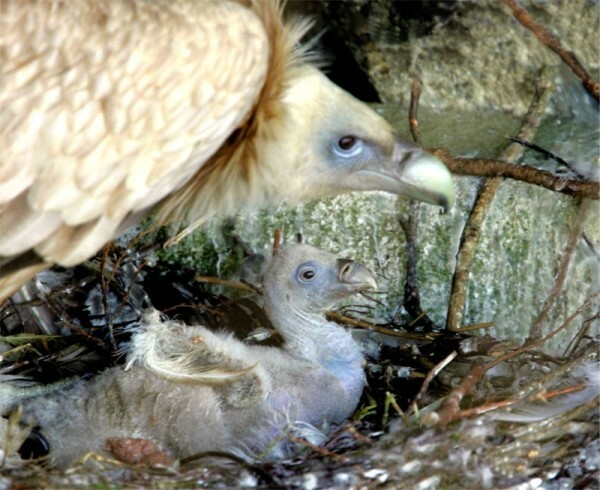 In the summer of 2003 Eagles Flying introduced its birds to the first eager visitors and numbers continue to increase every year. 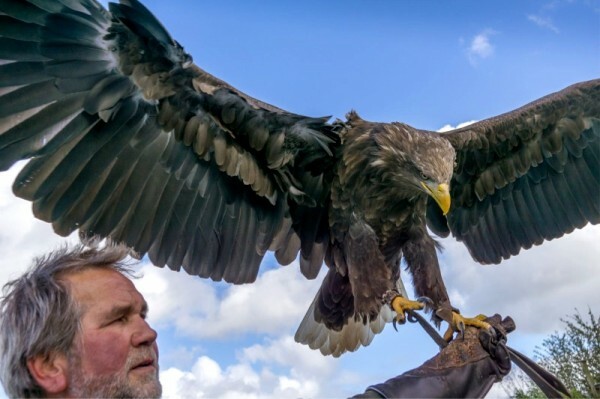 The Eagles Flying Show is both fun and educational for the whole family! Our special method of working with animals makes it possible to allow them as close as possible to our visitors. 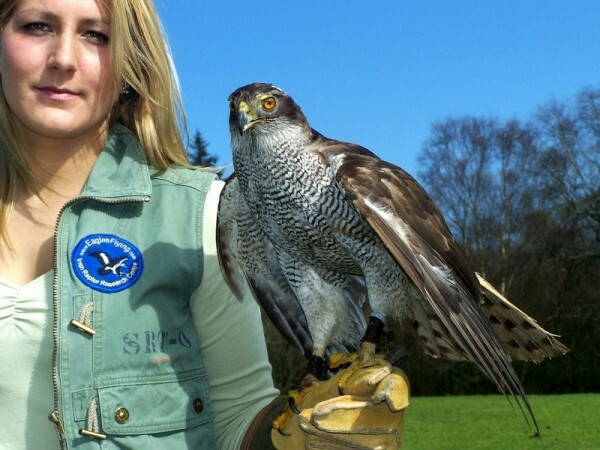 The scientists on hand present information on each of the birds and raptors in general and if you ever had a question about a bird of prey - well, here you go - just ask! As the sanctuary became better known, people from all over Ireland started bringing in injured birds and other helpless wildlife. We try to heal all these patients and if possible return them to nature. This hospital and rehabilitation sector is now the most time consuming and labour intensive department at the centre. We cooperate with international Zoos breeding endangered species for re-introduction-programmes. 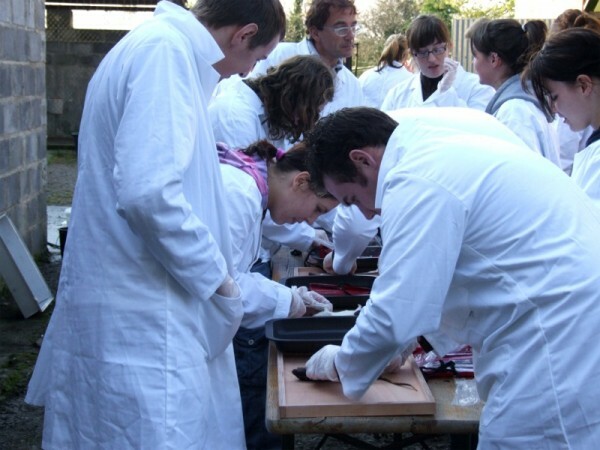 In 2007 the Irish Raptor Research Centre / Eagles Flying received the accreditation as an EU-Zoo.